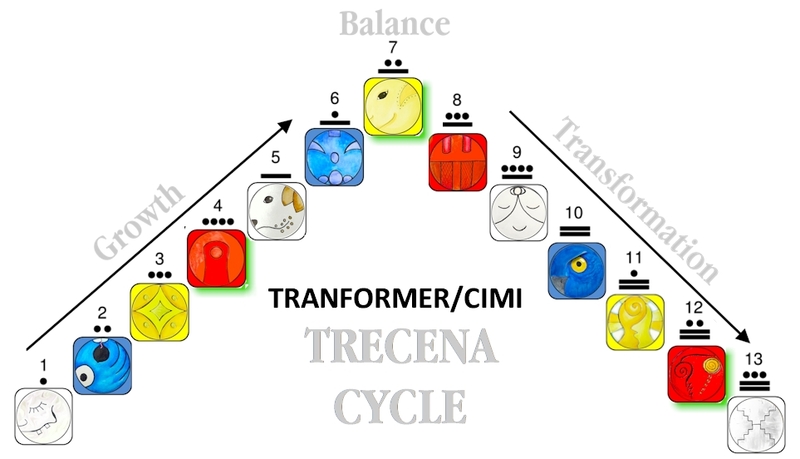 Galactic Tone 13 is the day of an Ascension from CIMI’s trecena of Major Life Change. 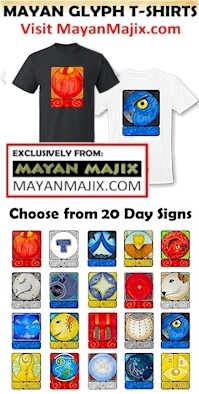 On the day we would see ourselves as Reborn, we are met by Flint/ETZNAB, the day sign that brings and Unexpected Truth that was hidden or covered us. Like coming forward at a Commencement, we may be surprised to see that we are Graduating with Honors. These are the kinds of Truths that ETZNAB is known for, Truth that makes a lasting memory and impression. ETZNAB is the Flint Knife that cuts straight to the Heart. It’s purpose is to seek out and find anything hidden in darkness that can be cleared away. This is a day of personal karma that comes with a Divine Healing of Unconditional Love. The Truth may be painful, though the Joy of our Grace will be magnified. In a trecena of Self Knowledge with the Gift to Look Into our own Future, we could see the Celebration that is being prepared for us. ETZNAB’s Truth shatters any illusion we’ve held about our Self. The “hard news” may be the Realization of Truth that we’ve Sensed all along, but was hidden in our subconscious. Today, it seems right to forego my own thoughts about 13 Flint/ETZNAB. The descriptions of the Tone and the Day Sign can speak directly to you. Our Gift of Ascension marks a day of Self Realization. 13 is the number of theurgy offering the ability to call on Divine Intervention in Human affairs. The most worthy path to know God is the one we Conceive for our Self. Crystallize this Prayer in the space between breaths and Listen for the answer that’s perfect for You. love that question-“what would you have me know today” Now, about flint . . could one discover a “hard truth” about someone else at this time of flint?